Tutorial - How to fix boot loop on Asus Zenfone 5 and any zenfone. Now you can fix your Zenfone 5 from boot loop/ USB Logo by doing some simple steps. You needed some files like Drivers and firmware file, you can download it from end of post. We also attract a video Tutorial on Fix Boot loop on Zenfone 5. Also Check out One Click Root for Zenfone 4, 5, 6 and Zenfone 2 Lollipop and Kitkat Supported. Asus USB Drivers and Intel USB Drivers Pre-Installed on System. (Download from Below Link). ADB Flash Tool file. (Download from http://bit.ly/1WRCxOS). Firmware file UL-ASUS_T00F-WW-2.21.40.44-user.zip (Download from Below Link). Step 1. After downloading adb & fastboot tool extract it to desktop. Step 2. Copy UL-ASUS_T00F-WW-2.21.40.44-user.zip in adb folder. Step 3. Open UL-ASUS_T00F-WW-2.21.40.44-user.zip and extract recovery.img from it. Step 4. Open your mobile in droidboot mode. First Power off your device then Press Power button after vibrate suddenly press Volume Up button. Step 5. Now open adb folder and press SHIFT + Right Mouse Button and select open command here. Step 6. Then type fastboot flash recovery recovery.img then enter. Step 7. Now select recovery mode thn press power button ( if u dont know how to select recovery mode in droidboot mode open the link in step 4). Step 9. now again follow step 5. Step 10. now type adb sideload UL-ASUS_T00F-WW-2.21.40.44-user.zip then enter. Step 11. now reboot and enjoy. Congrulations, Now you can your Zenfone without Boot Loop problem. You can also check out How to Install Android 6.0 Marshmallow Boot Animation on any Asus Zenfone. does developer mode should be on on phone for this procedure? i do work with your procedure my cmd also says "device not found" , what can i do please help me.....!!!!! but when i m trying to flash the asus package..
error : more than one device connected..
bro.. plzz help i ony have dis phone n i need it to work..!! replace the (previous version of recovery.img) instead of the (latest version of recovery.img) but still use the latest firmware this works for meeee! try to factory restart from droid boot then re-apply. ADB sideloading starts , unpacks file, even installs Android 5.0 successfully. But at 54% the process stops saying "failled to read command"
Can you please recommend me one? I had upgraded to lollipop before this thing boot looped. Now should i downgrade using Kitkat file? i have updated zemfone 5 to lollipop earlier. now i'm stuck with with usb logo. now i must download the version WW_3.24.40.78 and run. because i dont want to downgrade would u help me out ??? what firmware should i download ? help me!! after i type adb sideload there is statement "error: protocol fault < no status> why? can i use this , to downgrade from TW 3.24.40.78 TO 3.23.40.52 ? I KNOW it's really crazy idea. can I use any other ABD tool , the link you suggested is not working. What is ADB Drivers? Is that ADB Flash Tool that you given in the link? Also thank you for reply my message ASAP. its work for asus zenfone 5 lte? because i think it power+up volume will to to safe mode. please help me..what i have to do.. I've tried this solution before and it worked, thanks a bunch. but when i try this again recently, i did not work. when i tried to "wipe cache partition", i got "failed to mount cache". I hope you can give some insight about this situation. million thanks! 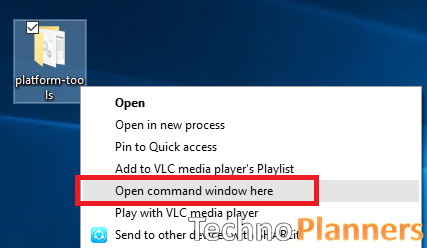 I got E:failed to mount /cache (invalid argument)..
i have problem on step5..didn't find "open command window here"
Hey bro Gaurav it really help, thank you so much! now it will load faster. Will the data get erased in this procedure? like photos etc. why do the procced take a long time? Is it helpful for ASUS_T00J??? is there any way i can flash the rom using sd card? the recovery mode doesnt show any option for update by sd card..
please help me..im using windows xp..and i dont know how to install asus driver...i doownloaded the driver though..
is there any got problem when install asus zenfone driver? when trying to install driver for zenfone got error code 10.. pleae help me. i think because of this driver..it cannot detect the phone. pleae help me. Is This procedure can also use in Rooted ASUS zenfone5 4.3? i cant download this link that you give..why? can you provide recovery for zenfone 4 ? How did you download the ADB FlashTool Sir? may we request for the link for the adb flash tool please. thank you so much and appreciate your soonest response. Please help, I cant download the ADB Flash Tool. Thank you guys!!! i been searching the net for a day till i found this. It's a big help. now i can use my phone again. Thank you and God bless!! I always get the error E:failed to mount/ cache (invalid argument) and get the same error on factory reset,wipe cache partition and on adb sideload. Please advise. i'm follow all step but after i do adb sideload , it says "device not found..help me please. I copied the recovery img to ABD folder and executed "fastboot flash recovery recovery.img" command. It was successful. When I select Recovery Mode, it is not asking for update from adb. Simply showing ASUS startup screen. Please help !! Thanks!! help me, i search many site but problem not solved. after going into recovery mode it gets stuck at the Asus logo. 1) Phone must need to be rooted first or what ? 2) What it means by only apply to the same SKU ? 3) What is CN,TW,WW ? I have followed all the steps in the video. Everything went fine but, still the phone is stuck in boot loop. My device's volume button cant be use.So how? can i use ww v 3.24.40.87 instead ur firmware because my phone is running lollipop and ver is same 3.24.40.87 but my phone has bootloop problem, so i want to ask u do i need to use the firmware u r using in video or can i use mine... also when i try to apply update via adb it says u need adb ver 1.0.32 or above..
error while adb sideload after 54 percent it says cannot read the command ....Installation aborted. anyone can resolve this issue? after successfully doing all this, my phone still stuck at the bootloop..what happened?? how its going ? is it fix ? I already have installed intel drivers that you told in video but still it says waiting for device. what to do? I HAS DONE DO IT BUT MY ASUS ZENFONE 5 STILL BOOT LOOP AGAIN.... WHAT CAN I DO NEXT? After sideload completion, instead of reboot menu it gets off and asus start logo appears, what to do then? after erasing from old dictionary, it gets to asus logo instead of reboot menu, what do I do now?